I went apple picking and wanted to bake something that I have never made before using the apples. I intended to bring what I baked to a friend’s house for dessert. The dietary challenge of the day: bake something gluten free, dairy free, potato and coconut free. Well, at least I could use eggs and sugar! Long story short, I did not want apple pie crust, but I did want cooked apples with something cake-like. Cupcakes with apple pie filling and non-dairy whipped cream answered my cravings. I made a vanilla dairy free cupcake following the recipe from Nom Yum & Free, but changing it into a gluten free recipe. I chopped and cooked up some apples on the stovetop for the filling. 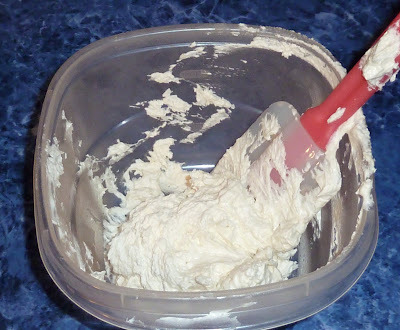 My go to dairy free whipped cream recipe uses cold coconut milk solids, but coconut was not an option. I decided to make a dairy free frosting recipe, but double the shortening to make it less sweet and more creamy and fluffy. It worked perfectly to make a topping that tasted very much like whipped cream. The cupcake tasted just like apple pie with whipped cream! It has all of the flavors of apple pie in a cupcake. I frosted the cupcakes in two ways. All of the cupcakes were cored and filled with cooked apples. With some cupcakes I took the piece of cake that came from the core and put it on top of the apple filling and then frosted the whole top. With some other cupcakes I piped out some frosting on top of the apple filling and cupcake (and ate the cake core). Both tasted really good, but it was agreed by all that the small mountain of frosting with the extra bit of cake made for a better “apple pie” eating experience. Please feel free to experiment and decide which way you prefer. 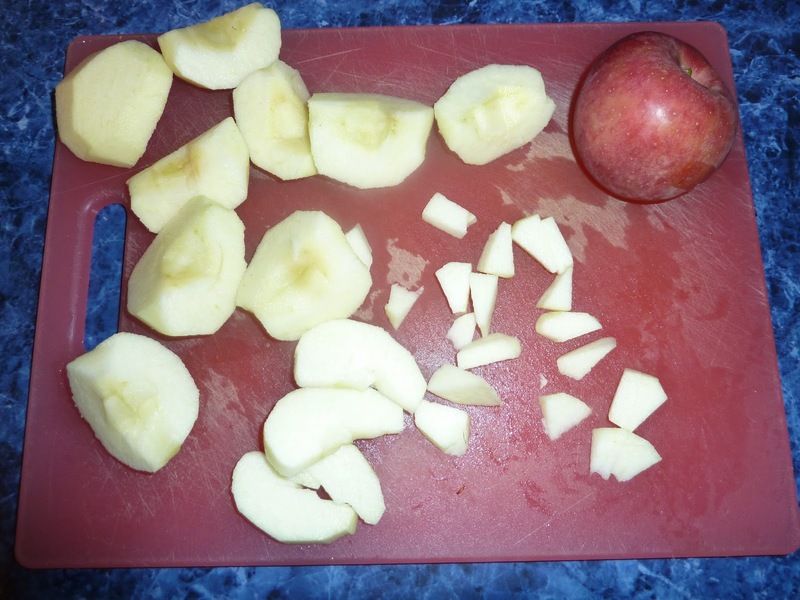 Apples - peeled and chopped into small pieces about ½ inch x ¼ inch in size. 1) Preheat oven to 350℉. Line each cup in the cupcake pan with paper liners. 2) In a small bowl add the flours, salt, baking powder and xanthan gum. Mix well and set aside. 3) In a large bowl add the sugar and oil and mix. 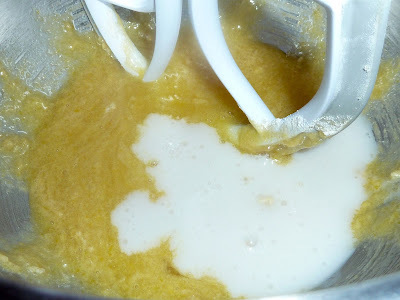 4) Add the eggs one at a time, mixing well after each addition. After adding the eggs, one at a time. 5) Add the vanilla and mix in well. 6) Add ⅓ of the dry ingredients and mix in. Add ⅓ of the milk and mix in. Repeat until all the ingredients are incorporated. The batter is very thin and liquidy. Adding ⅓ of the flour. Adding ⅓ of the milk. Batter with all the ingredients mixed in. 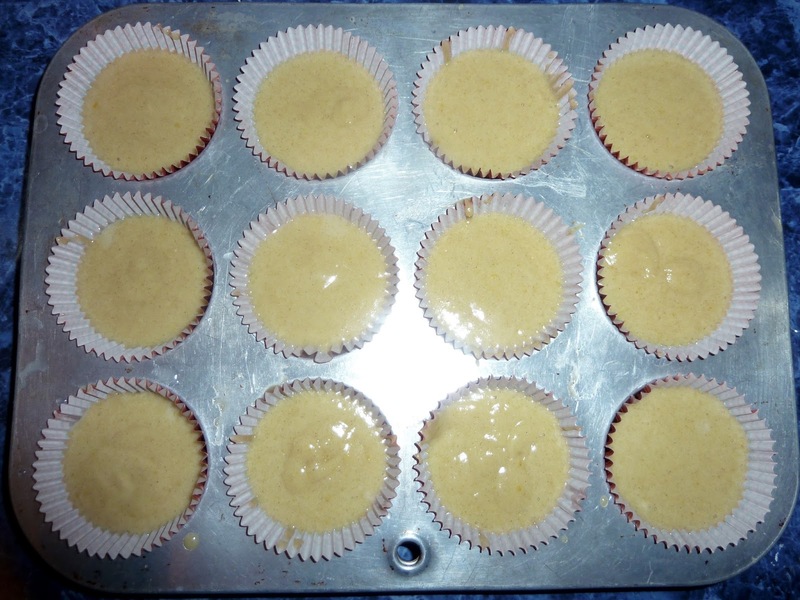 7) Fill each cupcake liner ¾ full. Raw batter in paper liners, about ¾ full. 8) Bake 20-25 minutes or until done. The center will spring back when gently pressed with a finger. Allow to cool completely on a rack before filling and frosting the cupcakes. Cupcakes after baking is finished. 1) Add the smaller amount of corn starch, 1 Tbs., and all of the salt, sugar, cinnamon and nutmeg into a medium saucepan and mix well. 2) Add the smaller amount of water, ¼ cup, and whisk together until smooth. 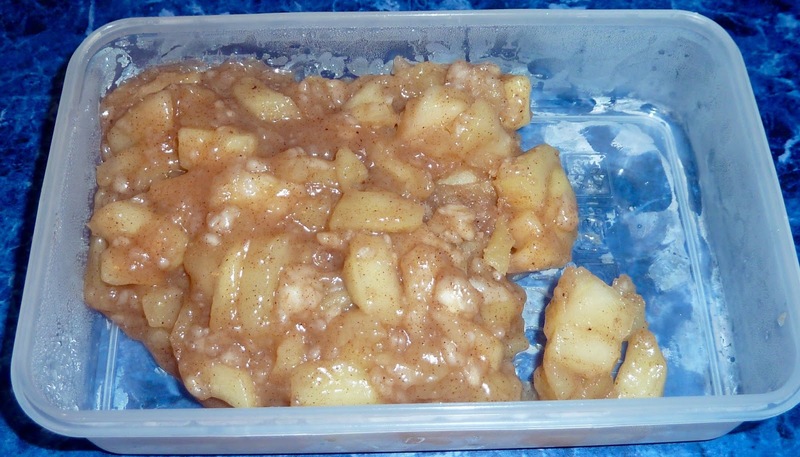 3) Add the chopped apples and stir and cook until the apples are tender. 4) Add more water, sugar or cornstarch as needed to make the filling to the taste and consistency that you prefer. 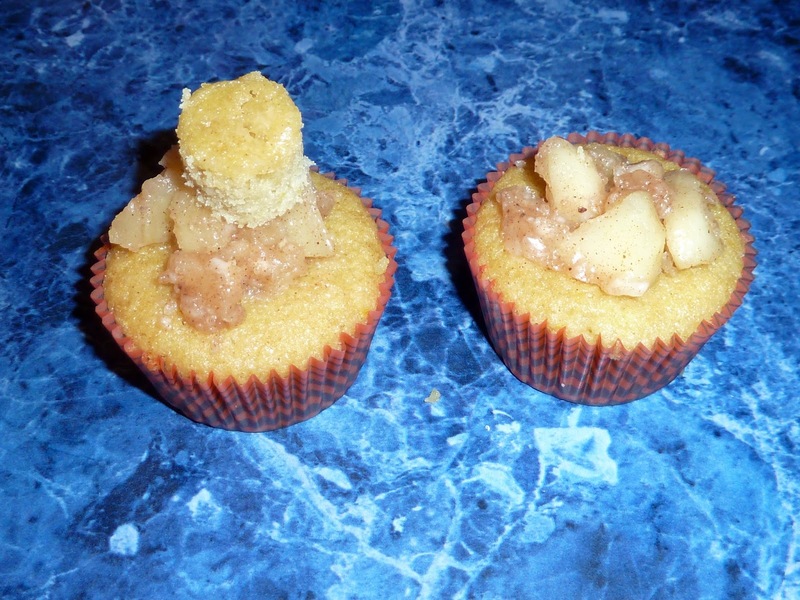 5) Allow the apples to cool completely before filling the cupcakes. 1) Add the sugar, shortening vanilla and 1 Tbs. of non-dairy milk to the bowl of a stand mixer or a large bowl. 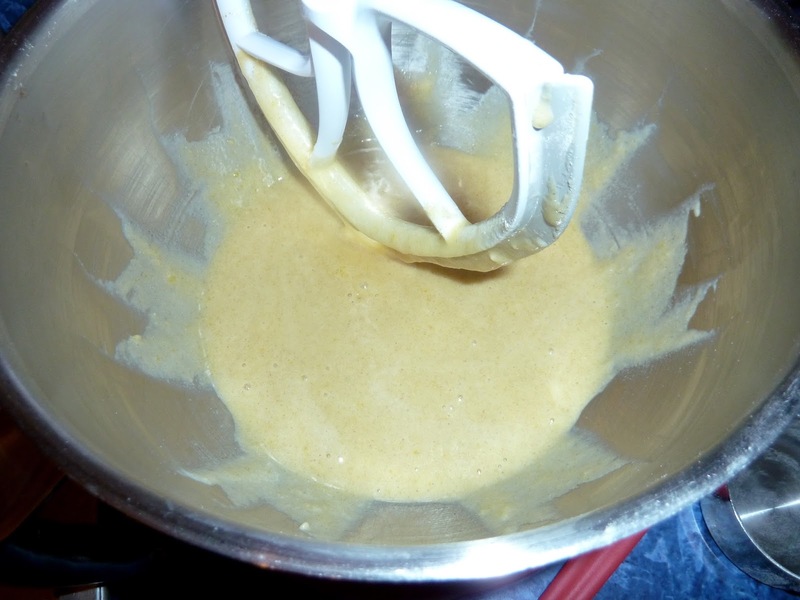 Mix together using the whisk attachment of a stand mixer or using a hand held electric mixer in a large bowl. Start on low speed until the sugar is mixed in , then increase to medium high or high speed. 2) Add more non-dairy milk, a Tablespoon at a time, until the mixture is smooth, light and fluffy. 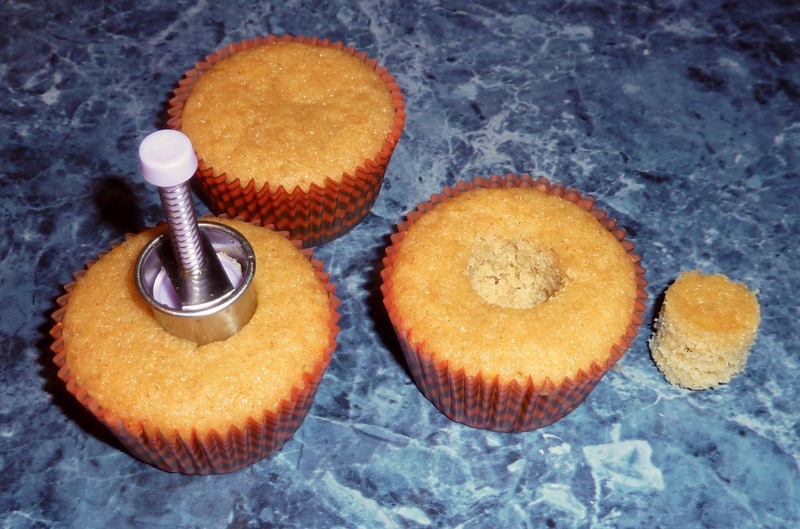 1) Core the center of each cupcake using a cupcake corer or a sharp knife. Coring the center of each cupcake. Filling each cupcake with cooked apples. You can just fill the hole (left) or overfill it (right). I prefer lots of filling. 3) Frost the cupcakes in one of two ways. Use a pastry bag with a ½-inch tip to pipe frosting or use a knife to spread frosting onto the top of the filing. Or put the piece of cake core on top of the apple filling and then frost the cake core and apples so that it looks like a small mountain. 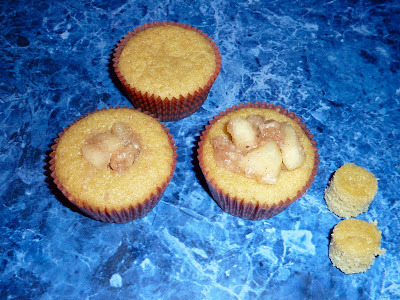 Cupcake on left with the cake core on top of filling. Cupcake on left with the core covered in frosting to make a small mountain. 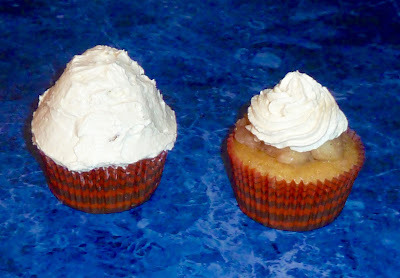 Cupcake on right with frosting piped on top ( the core is already eaten). 4) I filled the cupcakes just before I served them to prevent the cake from getting soggy. GLUTEN FREE DAIRY FREE APPLE PIE CUPCAKES Makes 12 cupcakes Ingredients VANILLA CUPCAKE ¾ cup Sorghum Flour ¼ cup Tapioca Flour ¼ cup Chickpea Flour ¾ tsp Xanthan Gum 2 tsp Baking Powder ½ cup Oil - mild tasting such as canola ¾ cup Sugar 2 large Eggs ½ cup Non-Dairy Milk of choice (I used almond) 1 tsp Vanilla Extract APPLE PIE FILLING 3 medium (3-inches wide) Apples - peeled and chopped into small pieces about ½ inch x ¼ inch in size. 1 tsp Cinnamon ⅛ tsp Nutmeg ⅛ tsp Sea Salt ¼ cup (adjust to taste) Sugar ¼-½ cup (depending upon the juiciness of the apples) Water 1-3 Tbs (depending upon the juiciness of the apples) Corn Starch “WHIPPED CREAM” FROSTING 1 cup Shortening (I used butter flavor Spectrum which is not hydrogenated and is dairy free.) 7 oz. Confectioner’s Sugar 2-3 Tbs. Non Dairy Milk of choice (I used almond) 1 tsp Vanilla Extract Directions First make the Cupcakes: 1) Preheat oven to 350℉. Line each cup in the cupcake pan with paper liners. 2) In a small bowl add the flours, salt, baking powder and xanthan gum. Mix well and set aside. 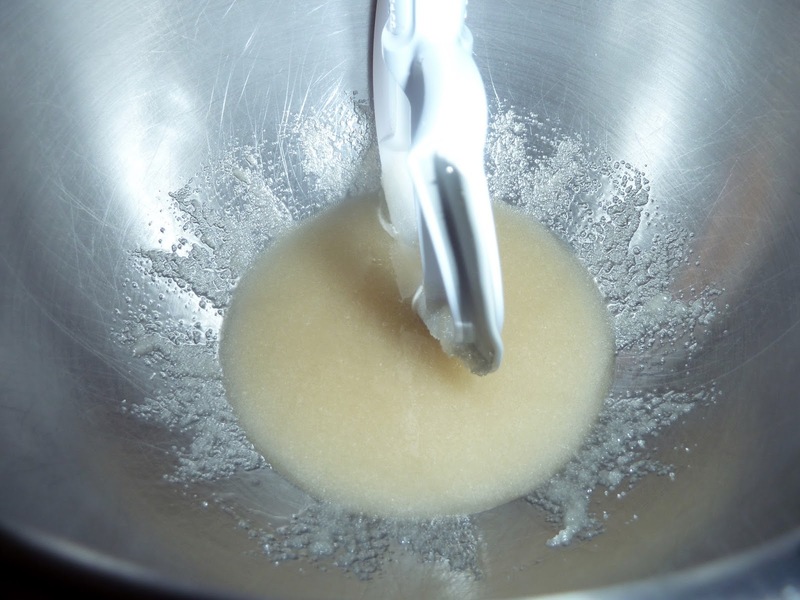 3) In a large bowl add the sugar and oil and mix. 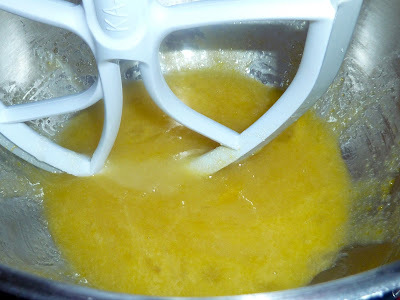 4) Add the eggs one at a time, mixing well after each addition. 5) Add the vanilla and mix in well. 6) Add ⅓ of the dry ingredients and mix in. Add ⅓ of the milk and mix in. Repeat until all the ingredients are incorporated. The batter is very thin and liquidy. 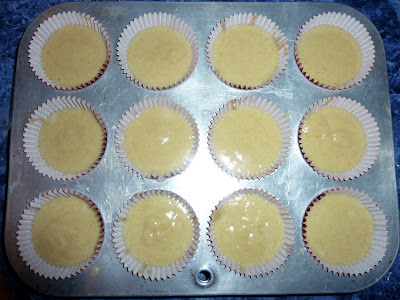 7) Fill each cupcake liner ¾ full. 8) Bake 20-25 minutes or until done. The center will spring back when gently pressed with a finger. 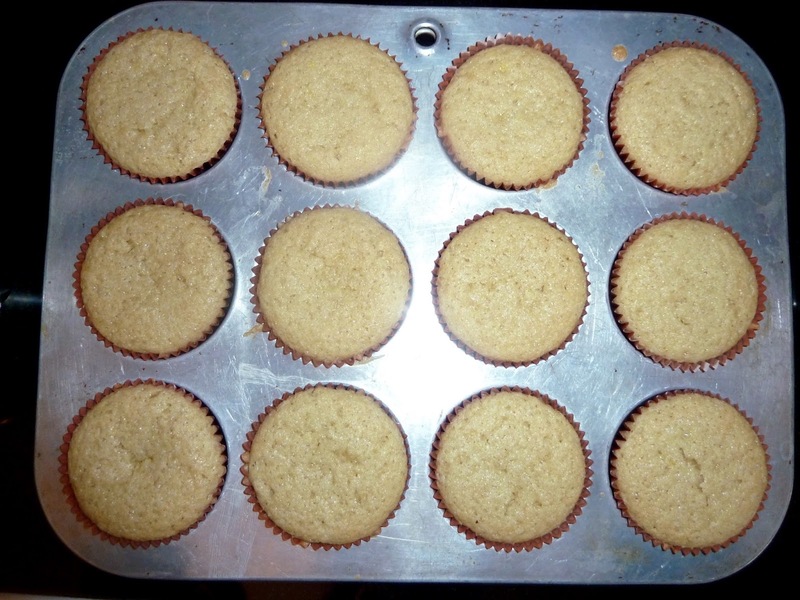 Allow to cool completely on a rack before filling and frosting the cupcakes. Next make the Filling: 1) Add the smaller amount of corn starch, 1 Tbs., and all of the salt, sugar, cinnamon and nutmeg into a medium saucepan and mix well. 2) Add the smaller amount of water, ¼ cup, and whisk together until smooth. 3) Add the apples and stir and cook until the apples are tender. 4) Add more water, sugar or cornstarch as needed to make the filling to the taste and consistency that you prefer. 5) Allow the apples to cool completely before filling the cupcakes. Next make the Frosting: 1) Add the sugar, shortening vanilla and 1 Tbs. of non-dairy milk to the bowl of a stand mixer or a large bowl. 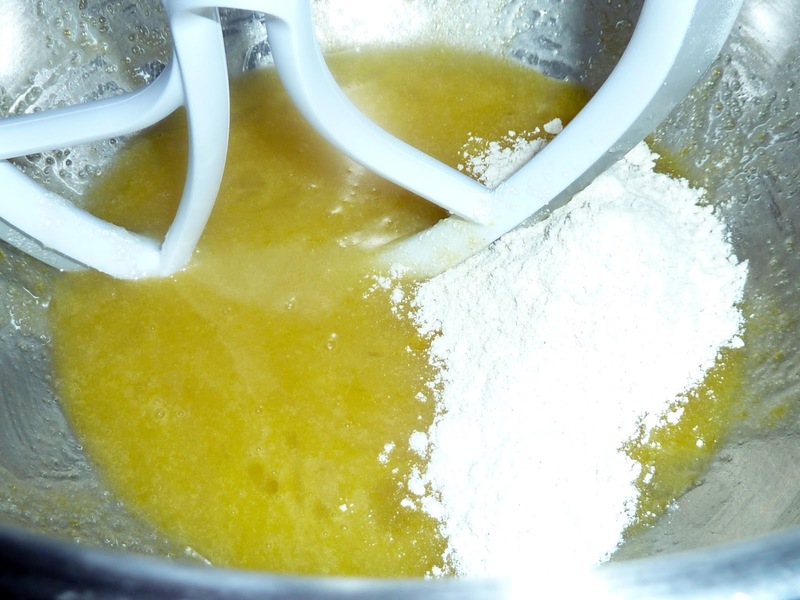 Mix together using the whisk attachment of a stand mixer or using a hand held electric mixer in a large bowl. Start on low speed until the sugar is mixed in , then increase to medium high or high speed. 2) Add more non-dairy milk, a Tablespoon at a time, until the mixture is smooth, light and fluffy. Finally Assemble the Cupcakes: 1) Core the center of each cupcake using a cupcake corer or a sharp knife. 2) Fill each hole with apple filling, you can let some overflow onto the top of the cupcake (I like lots of filling.) 3) Frost the cupcakes in one of two ways. Use a pastry bag with a ½-inch tip to pipe frosting or use a knife to spread frosting onto the top of the filing. Or put the piece of cake core on top of the apple filling and then frost the cake core and apples so that it looks like a small mountain. 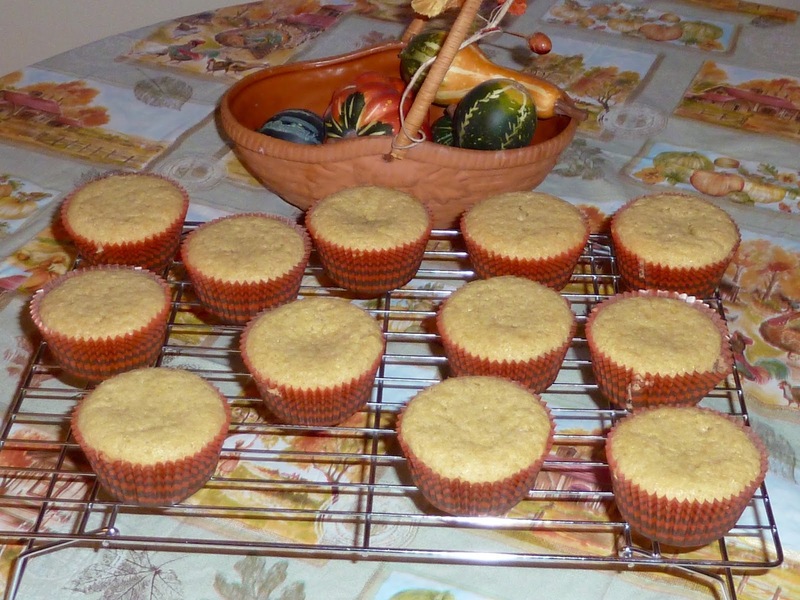 4) I filled the cupcakes just before I served them to prevent the cake from getting soggy.